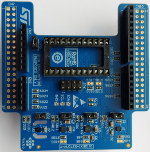 Professional MEMS tool: ST MEMS adapters motherboard based on the STM32F401VET6 compatible ST MEMS adapters (DIL24 socket)The STEVAL-MKI109V3 motherboard provides users with a complete, ready-to-use platform for the evaluation of STMicroelectronics MEMS products. 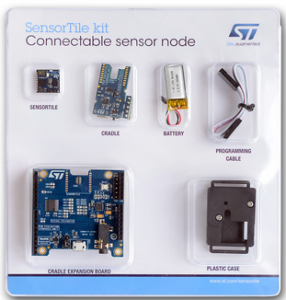 It includes a high-performance 32-bit microcontroller which functions as a bridge between the sensors and a PC, on which you can download and run the graphical user interface (GUI) or dedicated software routines for customized applications. 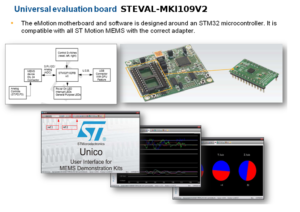 The STEVAL-MKI109V2 is a motherboard designed to provide users with a complete, ready-to-use platform for the evaluation of STMicroelectronics’ MEMS products. 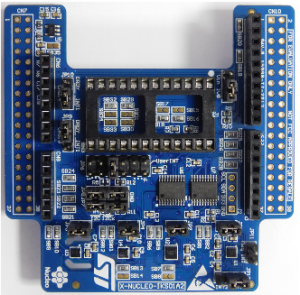 The board features a DIL24 socket to mount all available adapters for both digital and analog output MEMS devices. 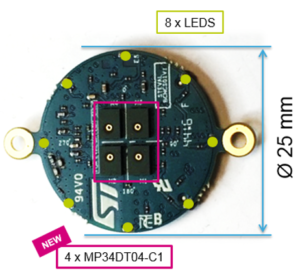 The motherboard includes a high-performance 32-bit microcontroller, which functions as a bridge between the sensor and a PC, on which it is possible to use the downloadable graphical user interface (GUI), or dedicated software routines for customized applications. 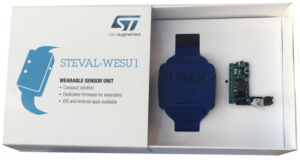 For UpDate the firmware on the STEVAL-MKI109V1/2 and for a brief explanation concerning the way to use the UNICO SW see here. User manual (UM0979) is here. For see the SW/HW available, start from the links below. 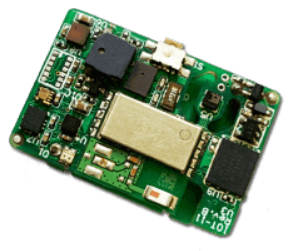 A complete list of the MEMS Motion Sensor Eval Boards is here.